This is a finished (finish sanded, and black gloss painted) solid walnut handle/tote and front knob that is designed to fit vintage Stanley Bailey type planes No. 3 & 4 and some others as well. Stanley sold planes during the World War II period that were black painted hardwood due to the shortage of imported wood like rosewood. Each is in very good condition with no damage or cracks, formed and with holes drilled. 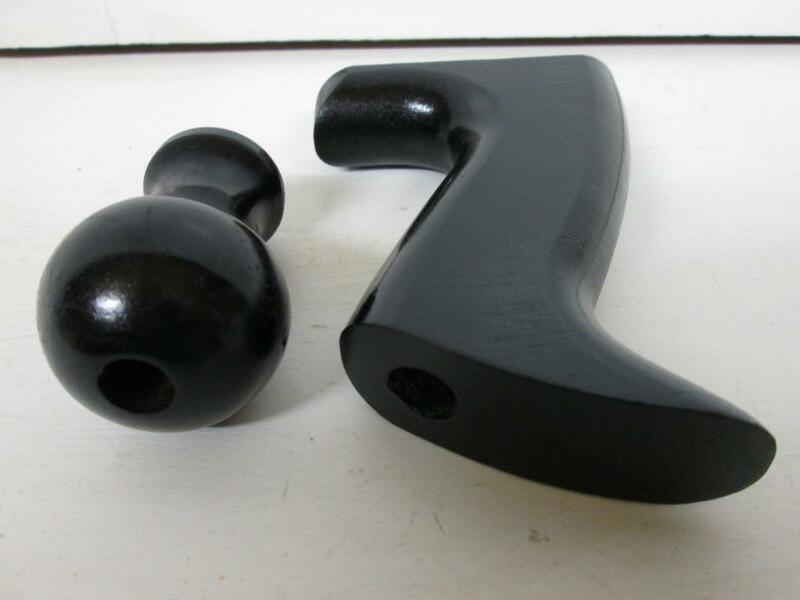 Stanley did change their totes and knob size and shape slightly over the years, so these are made to fit Stanley planes with the taller knob or plane types made after 1907. 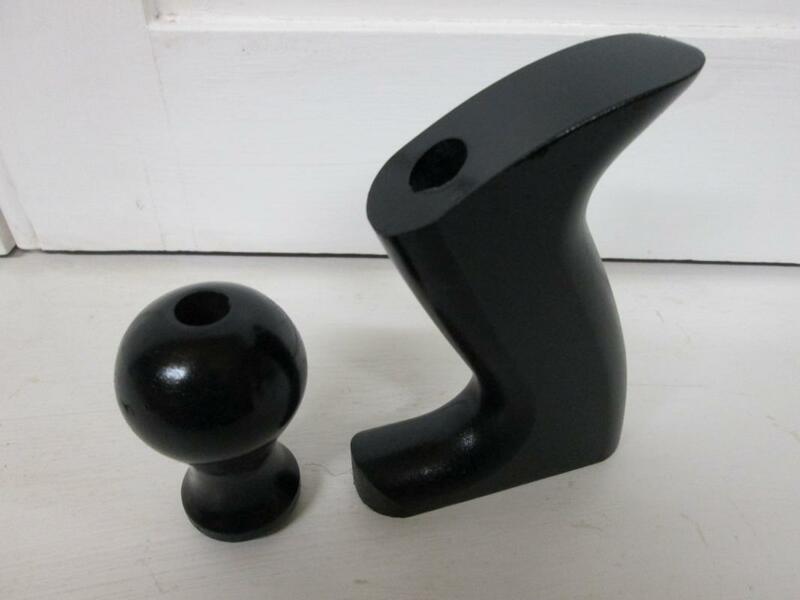 This handle is .99" thick x 4.25" high x 3.0" long at the base, and the knob is 2.5" tall x 1.5" diameter at the widest point. 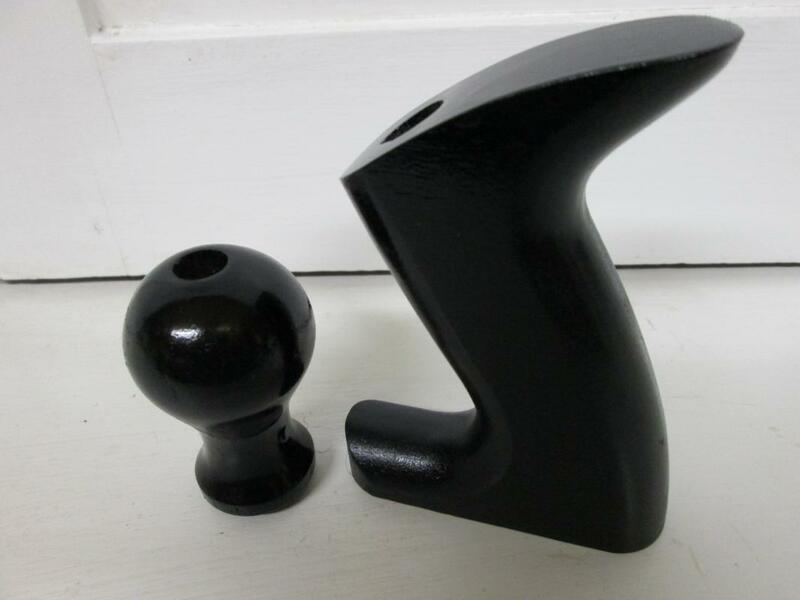 Price is per one tote handle and knob. As you can see the clearance holes and counter-bores are in each handle and knob, ready to bolt onto your plane using the original hardware/screws. 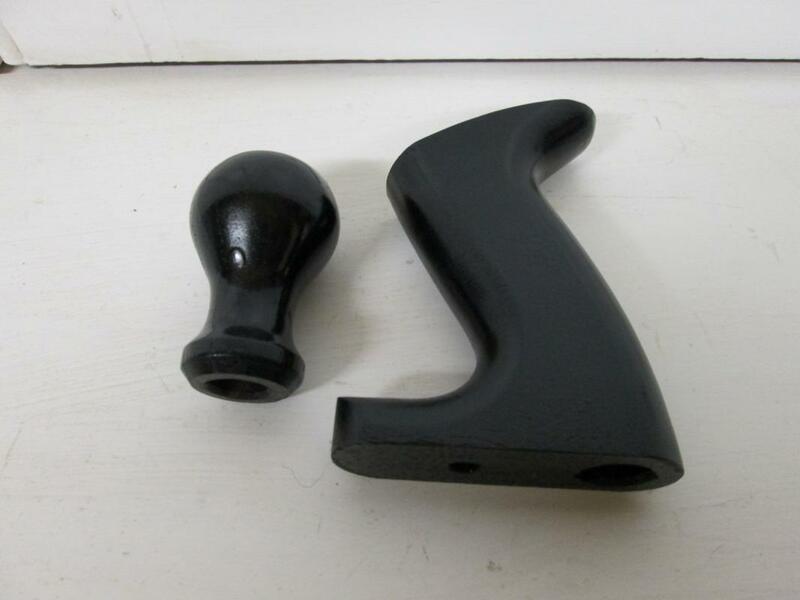 We also have plane knobs, and other types of replacement handles for planes and antique hand drills etc. at this website.